Over 100 people with learning disabilities die unnecessarily in UK hospitals every month. This needs to change. Over 1,200 people with learning disabilities die unnecessarily in UK hospitals every year because of a lack of reasonable adjustments accounting for their conditions. Relatively straightforward efforts, such as ensuring communication is effective, could mean these deaths are avoided. New research shows that both patients with learning disabilities and clinicians are unsatisfied with how the issue is being handled. 59% of healthcare professionals think the issue of avoidable deaths does not receive enough attention from the NHS. Two-thirds (66%) of healthcare professionals would like more training focused on people with a learning disability. 75% of people with a learning disability said their experience of going to the hospital would be improved if staff explained things in a way that was easy to understand. The Accessible Information Standard is mandatory in every health and social care setting in England but only 35% of medicine courses teach it. Almost half (47%) of hospitals do not include information on learning disability in their induction training for clinical staff. These findings are based on data from England - including the figure of 1,200 avoidable deaths per year, therefore this figure is almost certainly higher when other parts of the UK are considered. There are no similar statistics from Northern Ireland - because, as things stand, we do not keep a record of how and when people with learning disabilities come into contact with emergency or hospital services. However, if the situation mirrors that in England, this would mean an estimated 41 avoidable deaths locally, per annum. Scope spoke with Fiona Cole, Campaigns Officer for Mencap NI, about the organisation's new report - and its parallel Treat me well campaign, which aims to remedy the problem. She said the findings are shocking and Mencap is keen to stress the "importance and gravitas" of its research but, at the same time, the reasons for this issue are complicated and solutions are not straightforward. Moreover, she says there has been a good response from health officials. "We are already getting open invitations to talk about this in senior levels of the department and trusts. "Working together with the boards, trusts, the Public Health Agency and the Department of Health, we can hopefully see real improvements over the next number of years." Treat me well is comprised of new research - but it tells an old story. In 2007, Mencap published Death by indifference, which also highlighted avoidable deaths of people with learning disabilities during treatment from the NHS. A year later, an independent inquiry finished with a paper called Healthcare for All and, over the subsequent decade, a number of reviews took place, and guidelines were established, but the problem persists. "This issue probably never went away. "You have to remember the caveat that, here in Northern Ireland, we don't have the relevant statistics. You would not be able to submit a Freedom of Information request and find out how many people with learning disabilities go into hospital every day, for example. "It's unfortunate that Death by indifference highlighted avoidable deaths and how, if reasonable adjustments were made, these people could be alive today. "Now, ten years on, unfortunately the narrative hasn't changed, but we have committed to make this a priority - ensuring healthcare is accessible, and equal, for everyone." Nick was just 27 years old when he was admitted to hospital – and less than a month later he died. Here, his mother, Sue, shares how concerns she voiced about a lack of adjustments were not listened to, and how that’s left her feeling today. “My son was an inspirational, vibrant, extremely brave young man. And like many others with a severe learning disability, autism and a complex health condition, he needed high levels of support. At home he got this, but in hospital – when he needed it most – he did not. "Nick had been in hospital for surgery on a ruptured kidney, and became seriously unwell shortly afterwards. During the weeks that followed, Nick’s dad and I voiced our concerns to staff about the care Nick was receiving, and the lack of adjustments being made. We asked if we could stay overnight to make sure Nick got the extra support he needed, but we were told there was no provision for this. They viewed us as a nuisance rather than accepting that we were experts in understanding Nick’s needs. "We lost Nick on 17 December 2014. He had suffered cardiac and respiratory arrest, and could not be resuscitated – a result of a mucus plug which blocked his airway. On the day he died, I noticed something was very wrong, and pleaded for hospital staff to do something – but they ignored my concerns. The coroner’s conclusion showed what we have always believed: things could have been different for Nick if he had been given the care he needed. The estimation is that there are more than three such avoidable deaths in the UK every day. Issues like poor communication are the cause. However, this is not as straightforward as it sounds - for instance, poor communication can mean a lot of things. It could be that a doctor's advice is not adequately understood by their patient; or the misunderstanding could happen in the other direction, such as with diagnostic overshadowing, whereby symptoms are wrongly attributed to the patient's known learning disability when they are caused by something else. Per Ms Cole: "For instance, somebody that's non verbal might be in a high amount of pain. They cannot vocalise it but it can cause them to act in certain ways that might wrongly be put down to their learning disability." Beyond that, there is also communication between different parts of healthcare - a notorious problem boosted by silo mentalities and the lack of digital care records which move seamlessly between settings (although both these issues are priorities for senior officials). 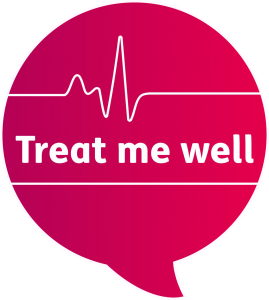 In putting together Treat me well, Mencap spoke with 500 people wth learning disabilities, 500 clinicians, and submitted a series of questions to both universities and trusts. Training - Compulsory learning disability training for all hospital staff, which meets the Treat me well minimum standards. Resources - Sufficient resources for staff, including time to attend training and the necessary resources to make reasonable adjustments for people with a learning disability. Leadership - Strong leadership from the government and the NHS, to ensure eradicating healthcare inequalities for people with a learning disability remains a national priority. We need our leaders to make sure efforts are joined-up, because together we can achieve more. Communication - Making communication accessible for all. This could be simple things like not using jargon and speaking clearly, or more complex things like using communication aids such as picture cards. Time - Allowing extra time in appointments. Longer appointments are an important adjustment to help ensure that people with a learning disability have time to communicate, understand information and have the support they need to make decisions. Information - Providing written information in an accessible format. Easy read information can enable people with a learning disability to understand when their appointment is or how to take their medication. Treat Me Well is a substantial report but by no means a behemoth. Its recommendations seem feasible and achievable with a relatively short timeframe (bearing in mind the health system is huge and therefore broad change is tricky). Therefore, there should be reasons for hope - and Mencap agrees. Ms Cole said: "Small and reasonable adjustments can make a big difference. We have a fantastic opportunity [with this campaign] and I'm very happy to be leading it over here."